As most of you know, I run the Website DCStamps. The site is designed as a reference for Stamp Collectors, especially those who are interested in those obscure places that issued stamps. Since I am frequently adding new material to the site, I would like to use this thread to let folks who might be interested know when new additions are available. Bear (or any other moderator), if you don't think this thread is not appropriate at Stamp Bears , feel free to yell at me, and I will delete it. Feel free to let me know if you have any comments or corrections to the entry. this thread is perfect my man.... i hope you post these types often..
As I am working on the Middle East within my collection, I just published a new Transition Chart. Jordan / Palestine Area Transition Chart. This covers the British Mandate area which is modern day Israel and Jordan. For those of you who are unfamiliar with my Transition charts, these are tools I am developing to help collectors or historians to have a quick overview of the flow of "countries" within a particular region. To date I have developed 18 transition charts. All of them can be viewed HERE. Please let me know what you think, or feel free to point out any errors you might find so I can fix them. Next I will be working on the Arabian Peninsula, which in reality is pretty complex. Transition charts are tools to help collectors understand the relationship to different countries within a region. To date I have developed 19 transition charts. All of them can be viewed HERE. Please let me know what you think, or feel free ask questions or provide corrections to the chart. I strive to keep them as accurate as possible. Just added a new country at DCStamps. Read about a very difficult time for the Armenian people in this short lived Republic during the Russian Revolution. Also you can see the stamps I have from this country in my Album. (warning: Armenia is rife with counterfeits, many of my probably fits within that category). Just to let you know, DCStamps just created a Facebook page. 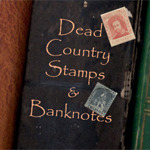 Feel free to like / follow if you want, as I will be highlighting summaries of the interesting Dead Countries and resources available from DCStamps. 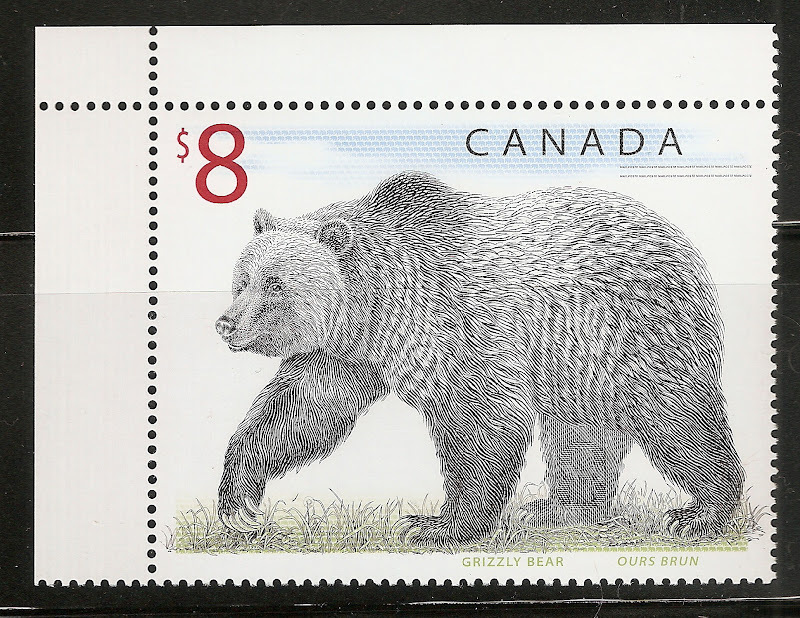 I will, however, continue publishing updates here on Stamp Bears as well. Since August of 2012, I have been keeping track of all of the countries which have visited DCStamps through an interesting little app called "FlagCounter". You can see it on the right side of my DCStamps page. Today, for the first time, I had a visitor from Kosovo. It is the 189th "country" to visit DCStamps. Added a new country at DCStamps. This is a very interesting history and stamps. I learned something new during the research. Take a look at my Album to see how I accommodated for the different currencies. dcstamps, thanks for creating the Northern German Confederation album and info. I have been thinking of collecting German states and was going to start with the Northern German Confederation. I have also created histories and albums for Kingdom of Saxony and the Grand Duchy of Baden, and an album for the Kingdom of Bavaria, but the history is not yet written. You will find the Baden history somewhat sparse, as I wrote it early on in the creation of the website. I continue to improve my "history telling" over time, and eventually will go back to the earlier ones and rewrite them. Also, the real expert on the boards for the German area is PostmasterGS. You might want to contact him as you start out. Updated some of my Albums by including new additions. Some great new additions, I especially like your Natal sets and Orange Free State stamps. Thanks for sharing all the information. Haven't had much time to do much on stamps or the webpage, but just noticed that I had a visitor from Dominica. This represents the 190th "country" to visit DCStamps since August of 2012. I never in my wildest dreams thought so many different folks from around the world would visit the site. For those who don't know, Dominica is a really beautiful island in the Caribbean. Green, mountainous with wonderful diving. Been there a couple of times -- here is a picture of a Lionfish I took off the shores of Dominica. While beautiful, Lionfish are a huge problem in the Caribbean and the Gulf. They are a huge evasive species which is destroying many of the native fish in the region. I have seen them from Belize to the Bahamas. They belong in the Pacific and Indian Ocean, not in the western hemisphere. As I am now back working on stamps, I just updated DCStamps for the first time in a while. I uploaded a new album for Upper Silesia Plebiscite. I will be doing the history write up in the next couple of days, but thought you might want to see the album first. That is a very impressive display. (It is a shame that Upper Silesia's claim to fame, in regards to stamp collecting, is it's smoke filled skies.) I'll be waiting for that history write-up.